The Yid by Paul Goldberg is an exciting debut novel set in Russia in 1953. The premise of the story, a historical fiction, is that Stalin has decided to implement a "final solution" to rid Russia of Jews. 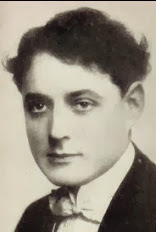 Several were the central characters were actors in the Soviet State Theater, preforming in Yiddish author or translated into Yiddish dramas. A central character often starred in "King Lir". 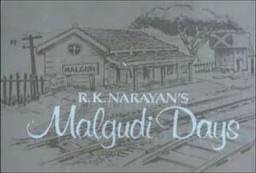 The plot action begins when government thugs come to arrest a once famous actor. His response to this sets the story line in motion. The Yid is full of black humor and focuses on the absurdity, cruelty and corruption of Soviet society. I enjoyed reading it a lot. Paul Goldberg is the editor and publisher of The Cancer Letter. He joined the publication in 1986. Many of his stories had a profound impact on the field of oncology, leading to Congressional investigations and changes in policy. Most recently, Goldberg’s coverage focused on the controversies at M.D. Anderson Cancer Center and the Cancer Prevention Research Institute of Texas. He uncovered a key element of a scandal at a genomics research group at Duke University. This led to retraction of papers in the world’s premier medical journals and appointment of a committee of the Institute of Medicine. Goldberg broke the story that led to the ImClone scandal and the key stories in the controversy over erythropoiesis-stimulating agents. His reporting is recognized by the Washington DC Professional Chapter of the Society of Professional Journalists, the Gerald Loeb Awards, and the Newsletter and Electronic Publishers Foundation. His articles appeared in The New York Times, The Wall Street Journal, The Washington Post and The Washington Monthly, and he was featured on 60 Minutes, 20/20, CNN and NPR. 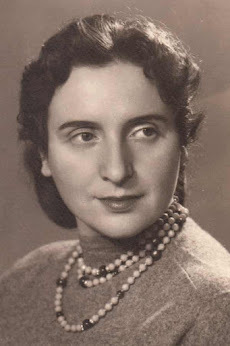 Last year in honor of International Holocaust Remembrance Day I posted on Ravensbruck: Life and Death in Hitler's Concentration Camp for Women by Sarah Helm. 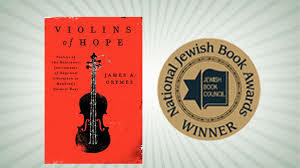 In observation of this year's event I wish to let my readers know of a wonderful book, the winner of the 2015 Jewish Book of the Year Award, Violins of Hope: Violins of the Holocaust-Instruments of Hope and Liberation in Mankind's Darkest Hour by James A. Grymes. 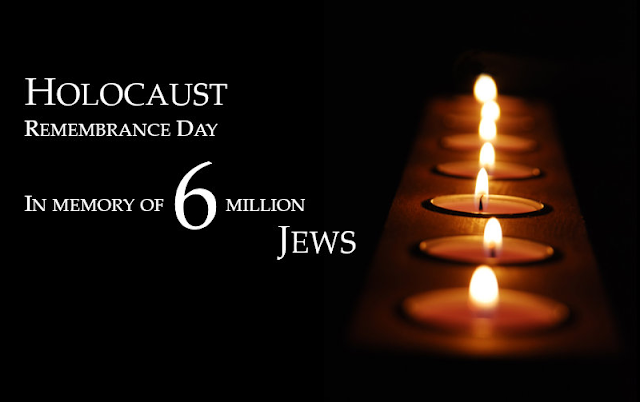 International Holocaust Day is an observation of the six million Jews who were murdered during the Holocaust. The Holocaust can be seen in many ways. I have posted on a number of Holocaust related works as well as classic works of Yiddish literature. I see the Holocaust as a war on the reading life. Never has there been a culture more dedicated to the absorption of the written war than that of Central European and Russian Jews. First the Nazis burned their books, then their bodies. There is no totalitarian group in the world that is not Anti-Semitic. Being anti- Jewish and Anti-Semitic should be understood as related but separate things, both repugnant. 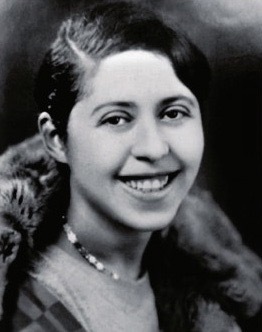 To me the Holocaust is made somehow personal by the death at 42 of one of my most beloved authors, Irene Nemirovsky who died a month after arriving at Auschwitz. This is my second year posting in observation of this day. Not just Jews died in the Holocaust and I hope one day there will be a greater awareness of this. Violins of the Holocaust-Instruments of Hope and Liberation in Mankind's Darkest Hour by James A. Grymes tells the story the violins played by Jewish musicians during the Holocaust. He writes in a very illuminating fashion about the importance of the violin in Central and Eastern European Jewish culture. The book focuses on the twenty years the famous Israeli violin restorer Annon Weinstein spent working on these violins. Grymes tells the story, some of survival aided by the violins and some of death of the men who played them. Along the way we learn of the genesis of classical music in Israel. I found this a fascinating and a deeply moving book from which my understanding of the Holocaust as expanded. James A. Grymes is an internationally respected musicologist, a critically acclaimed author, and a dynamic speaker who has addressed audiences at significant public venues such as Weill Recital Hall at Carnegie Hall. Dr. Grymes has been featured in interviews by the New York Times, ABC News, and CNN, and has written essays for the Huffington Post and the Israeli music magazine Opus. He is the author of Violins of Hope: Instruments of Hope and Liberation in Mankind’s Darkest Hour(Harper Perennial, 2014). A stirring testament to the strength of the human spirit and the power of music, Violins of Hope tells the remarkable stories of violins played by Jewish musicians during the Holocaust, and of the Israeli violinmaker dedicated to bringing these inspirational instruments back to life. Violins of Hope is the winner of the 2014 National Jewish Book Award in the Holocaust category. Not just Jews were murdered in the Holocaust, about 300,000 Roma people were killed as well as many Jehovah's Witnesses were also murdered. Holocaust like events did not begin in the 20th century. (I highly recommend Late Victorian Holocausts by Mike Davis)nor did they end there. 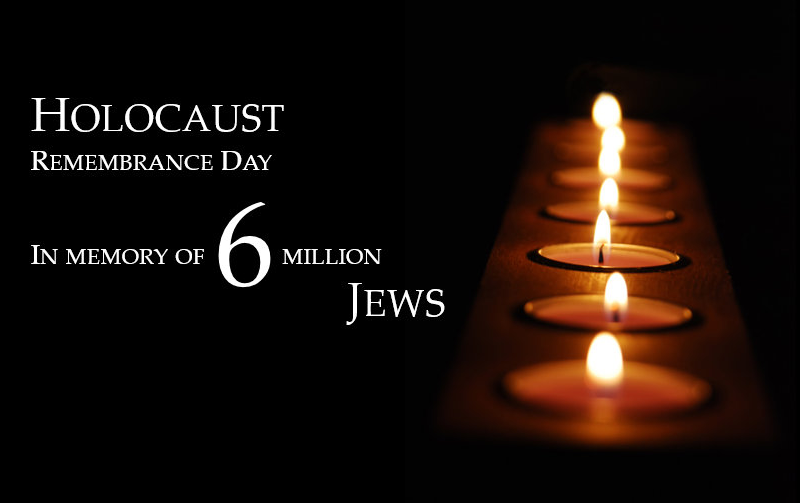 Understanding the Holocaust is necessary to understand contemporary events. There is not a major terrorist group in the world that is not strongly anti-Semetic. In the call of the incoming American president to have Muslims wear special ids and be listed on a nationwide data base we see the mentality behind the holocaust beginning. As I read Orwell: The Life by D. J. Taylor I could not help but wonder how he would react to Donald Trump ascending to the most powerful position in the world. An ego mad buffoon who thrives on the worship of his idiot followers, who lies without even knowing it can now destroy civilization on a whim. 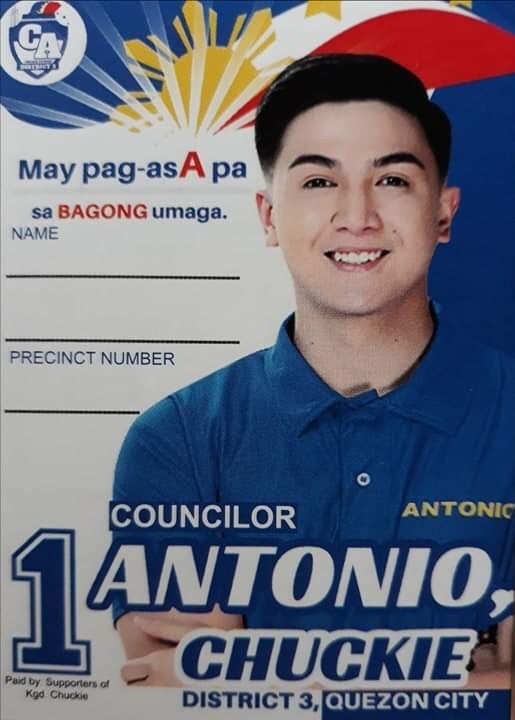 A man who surrounds himself with billionaires and claims to be the champion of the masses. I am still in remote Philippines a place even more remote than the Burma of Orwell's novel Burmese Days,based on his five years as an imperial policeman. I have read Animal Farm numerous times, 1984 long ago and a bit more. As to Taylor's bio, it is a good straightforward telling of the facts of his life. He does not probe really deeply into Orwell's psyche but for sure you will be grounded in his life by this biography. Over the Hills and Far Away The Life of Beatrix Potter by Matthew Dennison brings vividly and lovingly back to life a writer who created out of her childhood experiences growing up in the Lake District of England characters like Peter Rabbit that have brightened the world of children all over the world. 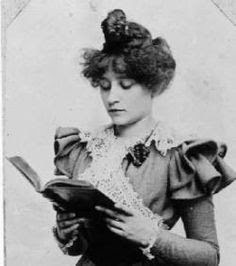 In reading the biographies of English authors you will often find Beatrix Potter as their earliest reading life memory. Dennison does a wonderful job showing us how Potter's imagination was shaped by her early years living in rural England, especially by her contacts with rabbits, hedgehogs, ducks, mice, cats and other animals. Dennison for me painted a portrait of a girl growing up with kind, decent, loving but emotionally remote parents whose reserve created with Beatrice and her brother a need to make a fantasy world from the animals she grew up with. Even into her twenties Beatrix would take her rabbits or her hedgehog with her own trips. Beatrix possessed a powerful intellect, deeply curious about the natural world. She became a world class authority on the fungus of the lake region. It was here she first developed her amazing gifts for drawing. Her parents were quite affluent. There was never a time of hardship but Beatrix wanted her own money. 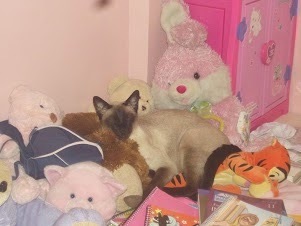 Her first income came from her now world over loved drawings of humanized animals in family settings. In 1902 she published her first children's story, The Tale of Peter Rabbit. Beatrix was, as was the custom, educated at home by governesses. 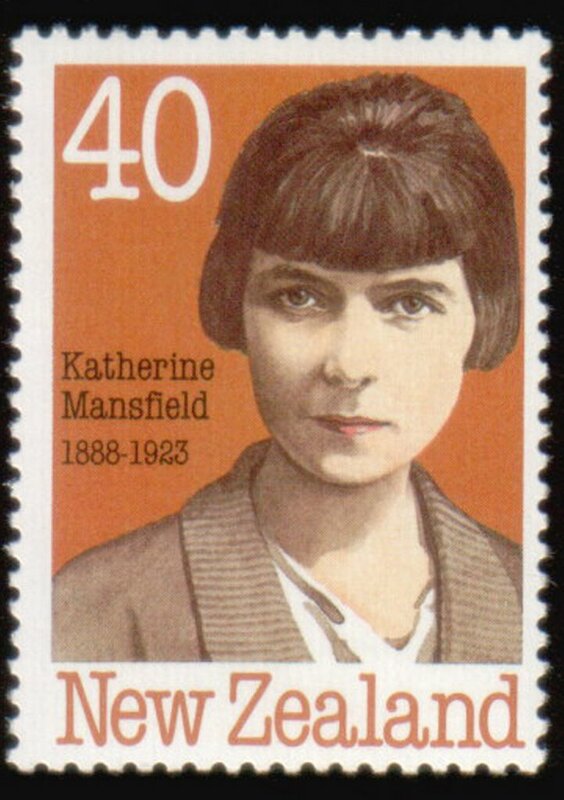 She had access to lots of very good books and was an avid reader not just of the European fairy tradition that so influenced her but all of the best of Literature including the classics. Beatrix became engaged at 30 but her fiancé died well before they married. At age 47 she married, and remained happily married for 30 years, to a county solicitor that had helped her with the purchase of a farm. Her parents even then looked down on her husband as little more than a "tradesmen". Beatrix was very into land conservation and took her farm very seriously. As time when on she became seriously wealthy, much of it was through spin off merchandise from her stories and licensing rights to her drawings, she expanded her Lake District Farm. She was considered an expert breeder of sheep. Beatrix was childless but was very close to her husband's large family, as wise, warm and generous and aunt as one could wish for. Dennison goes into a lot of very interesting details about her relationships with her publishers as well as her farm occupation. She had managers but she was very hands on. I really liked this book. To me Dennison subtlety conveys the streams of consciousness that arose in Beatrix through her childhood. Beatrice seems to have remained under the psychological dominance of her parents long into adulthood. If you read her stories you will see they are not all treacly sweet, in one mother goose story the young are told that father ended up in a pie. There is a lot more in this top flight literary biography than I have mentioned. If you have find childhood memories of her stories you will love this book, if you have kids, maybe you will be motivated to share the stories with them. Beatrix Potter is an important figure in 20th century English literature and helped create an imaginary world through her drawings. Matthew Dennison is the author of six works of non-fiction. He read English at Christ Church, Oxford, as Douglas Jerrold Scholar, and afterwards the History of Decorative Arts at the University of Glasgow. His thesis – on Sevres porcelain hyacinth pots – was subsequently published in abridged form by Country Life. ROME: THE LIFE OF LIVIA was published by Quercus in 2010 and was followed in 2012 by THE TWELVE CAESARS, published by Atlantic, a Daily Mail Book of the Week, acclaimed by The Spectator as “magnificent”. In the summer of 2013, William Collins published his biography of Queen Victoria, QUEEN VICTORIA: A LIFE OF CONTRADICTIONS, described by Hugo Vickers in The Times as “a tremendous coup”. All four titles have been published in the States by St Martin’s Press. Matthew’s biography of Vita Sackville-West, BEHIND THE MASK, was published by William Collins in October 2014 and became a ‘Book of the Year’ in The Times, The Independent, The Observer, and The Spectator. The US edition has just been released. His latest book OVER THE HILLS AND FAR AWAY: THE LIFE OF BEATRIX POTTER was published by Head of Zeus in October 2016. He is currently working on a biography of Queen Caroline of Ansbach for HarperCollins. Matthew is a journalist and regular contributor to a range of publications, including Country Life, The Spectator and Telegraph Magazine; he contributed to ‘Queen Victoria’s Children’ and ‘Royal Cousins at War’ for BBC 2 and ‘The Queen’s Longest Reign’ for BBC1. He is married and divides his time between North Wales and Shropshire. - from the publisher's webpage. Before I began my blog in July 2009 I read two biographies by Richard Holmes, one a two volume work on Coleridge and as well as his Doctor Johnson and Mr. Savage, his attempt to explain a slightly baffling friendship between two seemingly quite unlike 18th century Englishmen. I was very honored to be given a review copy of his forthcoming book, The Lonely Pursuit, Reflections of a Romantic Biographer. 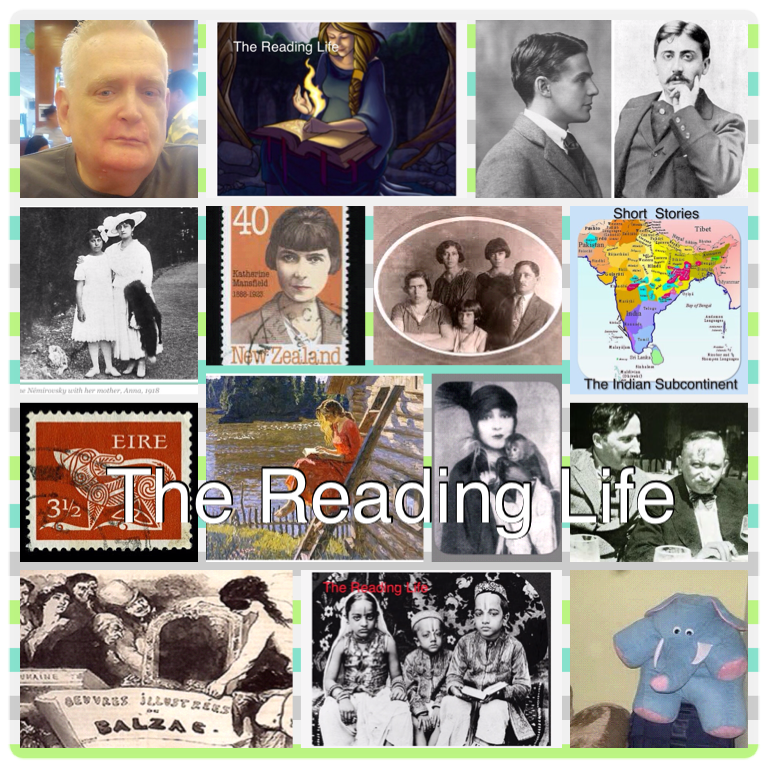 Last year I read and posted on 21 biographies, 18 on authors. I hope to read a number of literary biographies this year. I have already completed one on Beatrice Potter and am well into a work about Edna Saint Vincent Millay. Richard Holmes taught for five year a class in post graduate studies in the writing of biographies. This book sort of arose from that experience. He begins by talking about the development of the biography as a form combined with the story of his creation of his first work, his 1974 biography of Shelley. He talks about how each generation has their own expectations about the nature of biography. He talks about how new historical discoveries can make once definitive works just historical documents. He talks about the tension between purely academic works and those written as a story with a plot with novelistic techniques of deploying the thoughts of the subject. Lytton Strachey, Eminent Victorians (1918) Geoffrey Scott, Portrait of Zélide (1925) A. J. A. Symons, The Quest for Corvo (1934) Cecil Woodham-Smith, Florence Nightingale (1950) Leon Edel, Henry James (1953–72) Richard Ellmann, James Joyce (1959, revised 1982) George D. Painter, Marcel Proust: A Biography (1959, 1965) Michael Holroyd, Lytton Strachey (1967–68, revised 1994). "It was only with the late recognition of the mid-Victorian heroine –Caroline Herschel, Charlotte Brontë, Florence Nightingale, Harriet Martineau, Mary Somerville –that the biography of women began to emerge, and only with modern feminism that it began to have serious impact on the form after 1970, with work by Claire Tomalin, Hilary Spurling, Nancy Milford, Judith Thurman, Stacy Schiff and others." This listed has already motivated me to acquire works by Nancy Milford and Stacy Schiff. Holmes cover the lives and life story telling of eight figures from diverse areas, science, the arts and literature. This is a very interesting deeply developed work. Anyone interested in biographies needs to read this wonderful book. In the last month of the year for the first time ever Indian short stories posts had more readers than those on the Philippines. During December I had over 30,000 hits from Russian bots. They would show up 100 plus visits from all over the country in one minute, then gone after being online just a few seconds. Given Russian hackers being in the news I feared at first a malicious intent. Now I just see it as part of giant periodic sweep of all the webpages they can find, looking for who knows what. Please let me know if you have experienced anything like this. Leaving out the Russians, the top place of origin was the USA, the Philippines, India, the Ukraine and Germany. Metro Manila is the most common originating city. California the top USA state. in 2017. My first post in 2017 in this genre will be on Beatrice Potter. 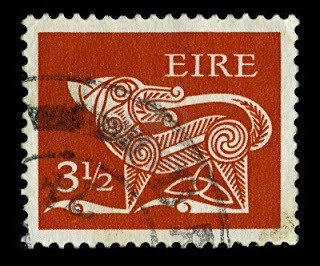 In March I will focus once again on Irish short stories, in July on Paris related works and in November German Literature. I thank all those who leave comments, all are welcome on my blog, even Russian bots and trump voters! I thank Max u for his kind provision of Amazon gift cards. Ambrosia will be taking a six months leave of absence to temporarily manage the Bousweau Foundation. Ravensbruck Life and Death in Hitler's Concentration Camp for Women by Sarah Helms. A valuable edition to Holocaust literature. The Swan in the Evening by Rosamund Lehmann. Her memoirs and spiritualistic reflections. 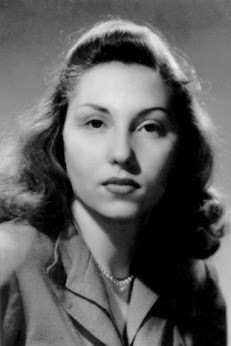 Emma Jung, Her Marriage to Carl and the Early Years of Psychoanalysis by Catrina Clay. Curzon Imperial Statesman by David Gilmour. I decided this year to look for my favorite works of fiction through a monthly breakdown. Memoirs of An Anti-Semite by Gregor von Rezzori. My second reading. I hope to reread it in November. His best book. Bark Skins by Anne Prouix. Masterwork. I became very interested in reading biographies of writers in 2016. Here is a list of the books I read in the order in which I encountered them, with some brief comments. 1. Woman of Rome, A Life of Elsa Moravia by Lilly Tuck. Wife of Alberto Moravia, this is also an interesting account of Italy during World War Two. 3. The Secret Lives of Somerset Maugham by Selina Hastings. A very good work by a master biographer. 4. Rosamund Lehmann A Life by Selina Hastings. Loved it and read all of her books. 16. Beryl Bainbridge Love by All Sorts of Means by Brendan King. Helped me a lot in understanding her work.